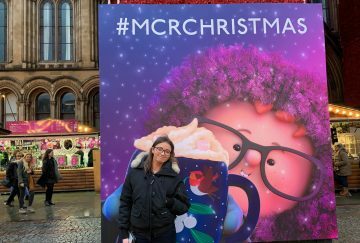 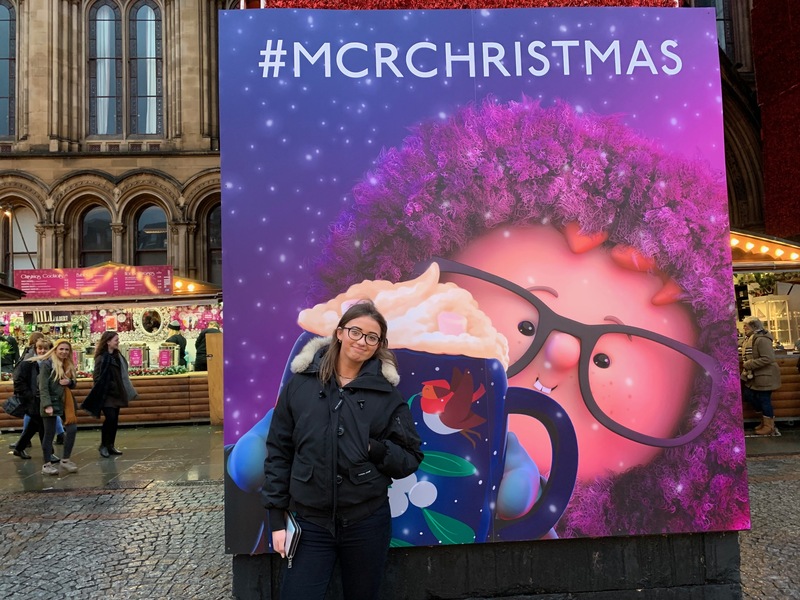 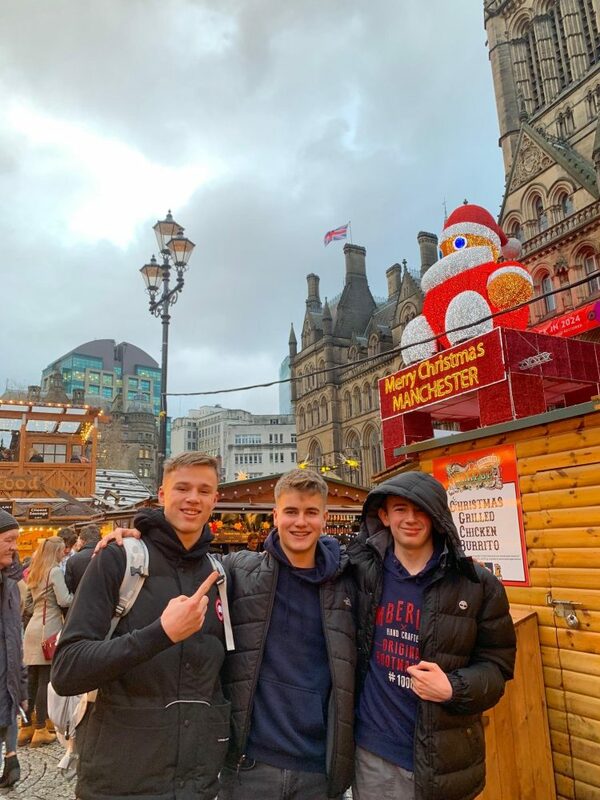 Yesterday afternoon the Sixth Form enjoyed the festive atmosphere at the Manchester Christmas markets. 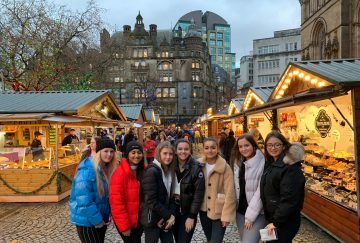 The Autumn Term can be a challenging time for all students, with everyone working very hard to make progress in their lessons. 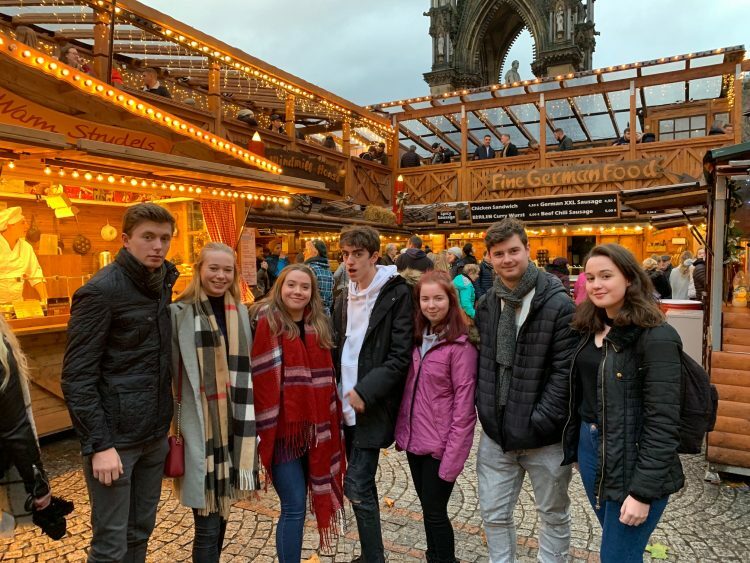 With that in mind, sometimes it is nice to be rewarded for your efforts, so students relished this opportunity to have an enjoyable afternoon out together. 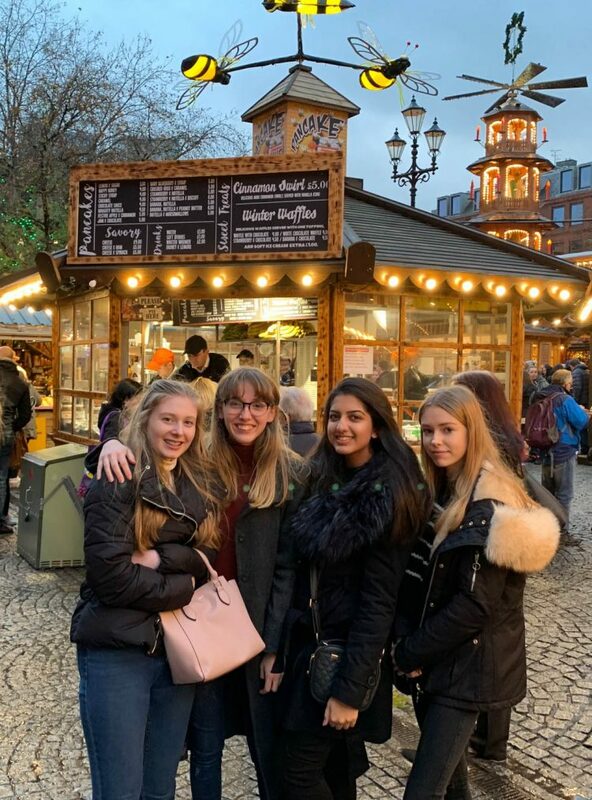 Students took time to sample the multitude of Yuletide gifts and delicacies on offer at the chalets in the heart of the city, with some students even managing to be interviewed by the BBC to talk about the markets on the evening local news. 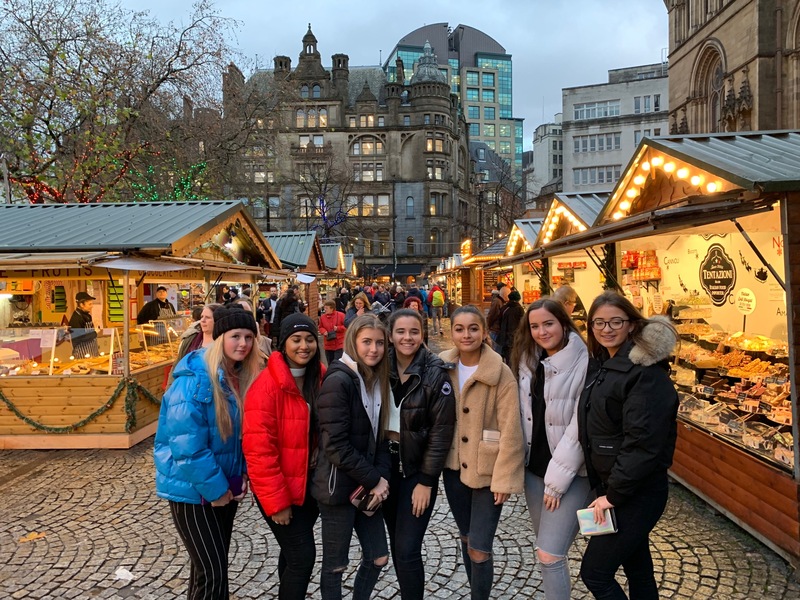 Great fun for our students and a festive treat at the start of the Christmas period.